Most people in the richest countries are absolutely wrong about the state of the world. We have tested their knowledge. We asked 12 basic fact questions to the general public in fourteen rich countries, using online panels. Every question had three alternatives: A, B or C. When we went to the zoo and marked bananas with A, B & C, the chimpanzees picked the right answer every third time. 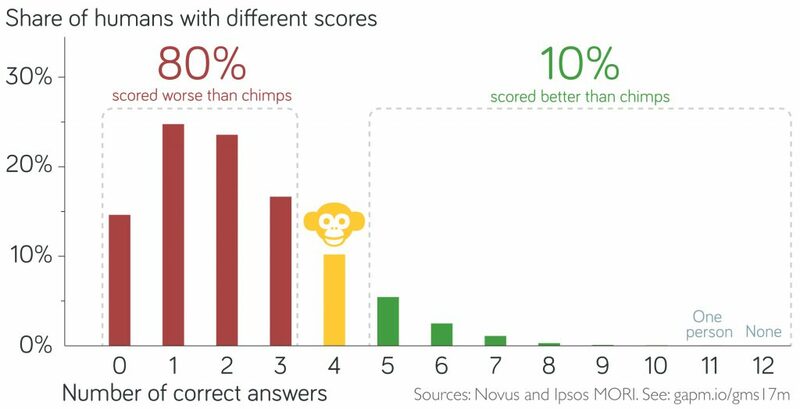 On average a monkey picking answers randomly would score 4 out of 12 correct answers. But the average score for the humans was much lower: only 2.2! That’s why the logo for the study is a monkey. This graph shows how many people got different number of correct answers. Only 10% scored better than random. A stunning 15% of humans managed to pick the wrong answer on all twelve questions. That’s almost impossible for a monkey to achieve. It requires systematic misconceptions. The problem here is not the lack of correct knowledge. The problem is the presence of wrong “knowledge”. To score this bad requires a false perception of the world, that make you pick the wrong answer systematically. The test in the book Factfulness uses the same twelve questions. If you haven’t already done so, please take the Gapminder Test yourself, before laughing at others! We think it requires a large dose of humility and curiosity to solve this massive problem of global ignorance. We started publishing these results on April 1, 2018 (April Fools Day) which we have declared International Ignorance Day. We will keep publishing detailed results here below, during the coming months. Please stay tuned by following us on Youtube, Twitter, Facebook or Instagram. We are currently preparing for the Misconceptions Study 2018, and You can help us. You are probably some kind of expert. You probably know of some important global facts that you have already realised people are completely wrong about. We are currently hunting for new misconception and measuring their sizes. Please tell us about potentially neglected reliable facts by filling out this online form. 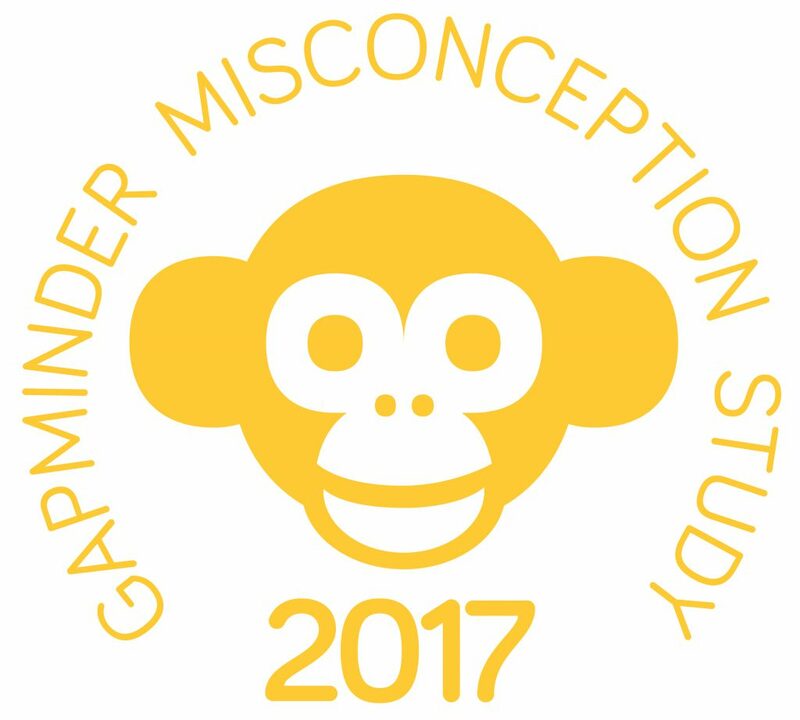 Please give us feedback in the Gapminder fact question forum.